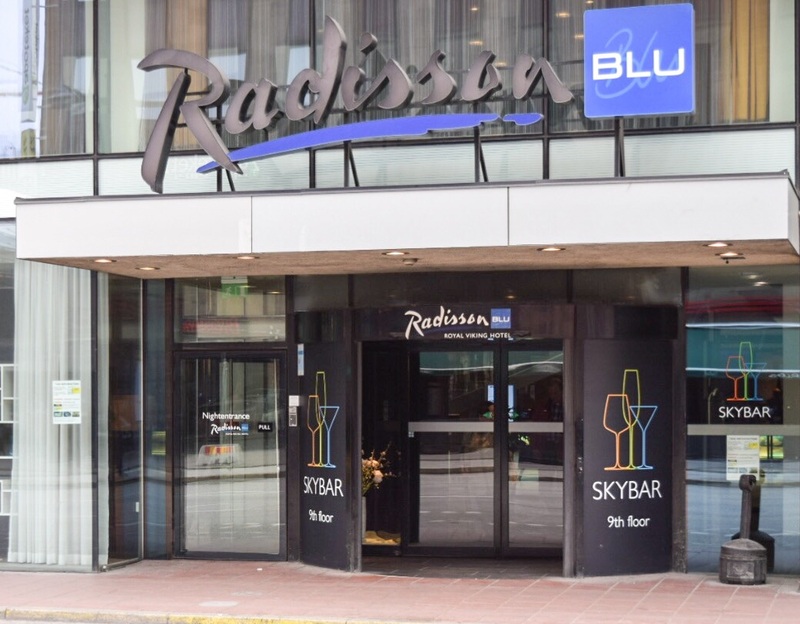 I arrived the Radisson Blue Royal Viking Hotel, after midnight from Arlanda international airport. I took the Arlanda express train to the stockholm Central train station, which is only a couple of minutes walk to the hotel. 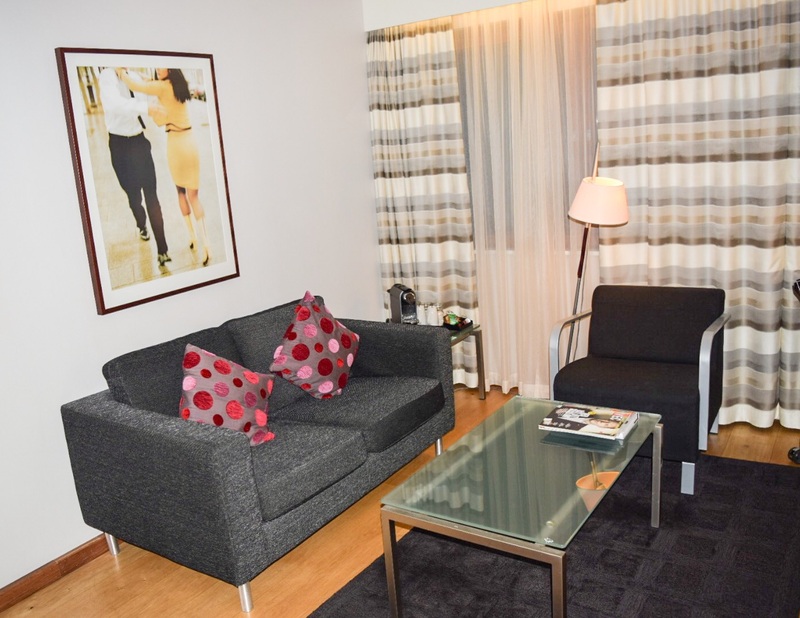 The close vicinity of the Hotel to the central station is one of the reasons I choose to stay at this hotel to explore the Scandinavian art scene. You can read more about my experience by clicking here. On entry into the hotel, I was greeted by the large foyer area, which was busier than I expected, considering it was after midnight. They had this cocoon like areas dotted around the ground floor despite it being in an open space, they looked cosy and intimate at the same time. I walked up to the reception desk and I was welcomed by Robin, who proceeded to inform me that I had been upgraded from a business room to a junior suite. I was delighted and wondered if they new I will be reviewing the hotel as part of my stay. They did not, as I did not tell them I beforehand. I proceeded to suite 610 and I was greeted by this large space with a pull out bed. The sitting area in the suite was compact and welcoming. I liked the way the desk and the wardrobe divided the room into a living space and the bedroom area. The wardrobe could be opened from both sides which I thought was clever. 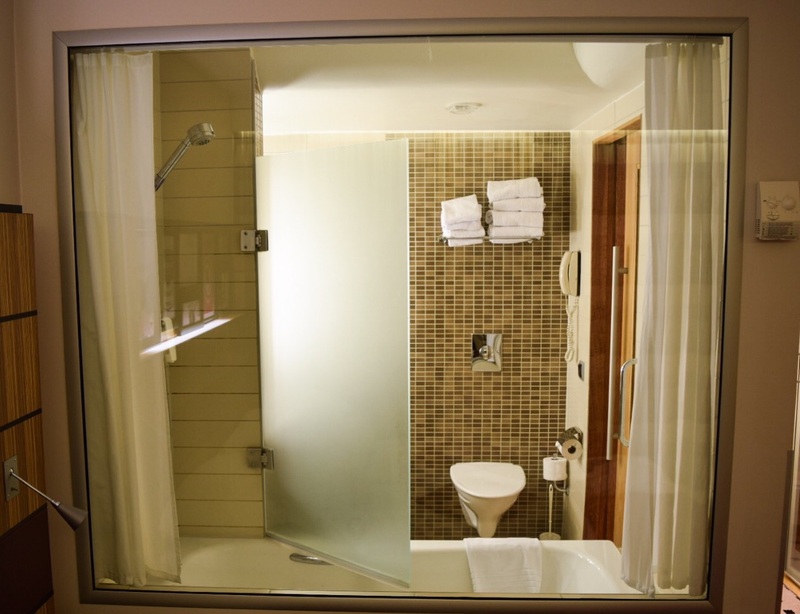 I am a big fan of glass walls that provides a view from the bathroom into the bedroom and vice versa. The bathroom was a good size with thisworks branded body wash and lotion, shampoo, hair conditioner and even bath salt for a good soak. The junior suite had all the amenities, including FREE high speed WIFI and a sufficentlt stocked minibar, which all made for a very comfortable stay. Insert pic of safe, coffee machine, mini bar, iron, rob etc. I sunk into the soft bed and the plump up pillows cushioned my head as I laid down to sleep and before I knew it, it was morning. I skipped breakfast and made my way to the gym on the lower ground floor and to my amazement it was a fully decked out gym. I later found out that it was also a public gym and not just for hotel guests.The gym also had a swimming, jacuzzi and sauna in the pool area which looked very inviting, but I did not get to experience it, due to lack of time. I left the hotel and returned later that evening and decided to check out the rooftop sky bar. I had a couple of cocktails which were pleasant. The ambience was calm and the music was not too loud. It is an ok place to start an evening before heading out for a night out. As I was nearing my departure, I decided to find out the check out time and to enquire if I could stay a little longer, as I had booked a very late flight back to the UK. To my astonishment, I was informed that all guests could stay up till 6pm the next day, which was a Sunday. I was very pleased and felt this hotel was full of pleasant surprises!! First the upgrade to a Junior suite and now 6 hours extra stay all free of charge!! I was delighted to have a few more hours stay at the hotel. The hotel is designed with a central atrium, which I could see from my suite. Looking out of the window I could see a mass of people having their breakfast. I could not resist and made my way to the first floor via these spiralling staircase. There was a wide selection of breakfast cereal, continental breakfast, fruits and hot food. It was a feast of healthy goodness. 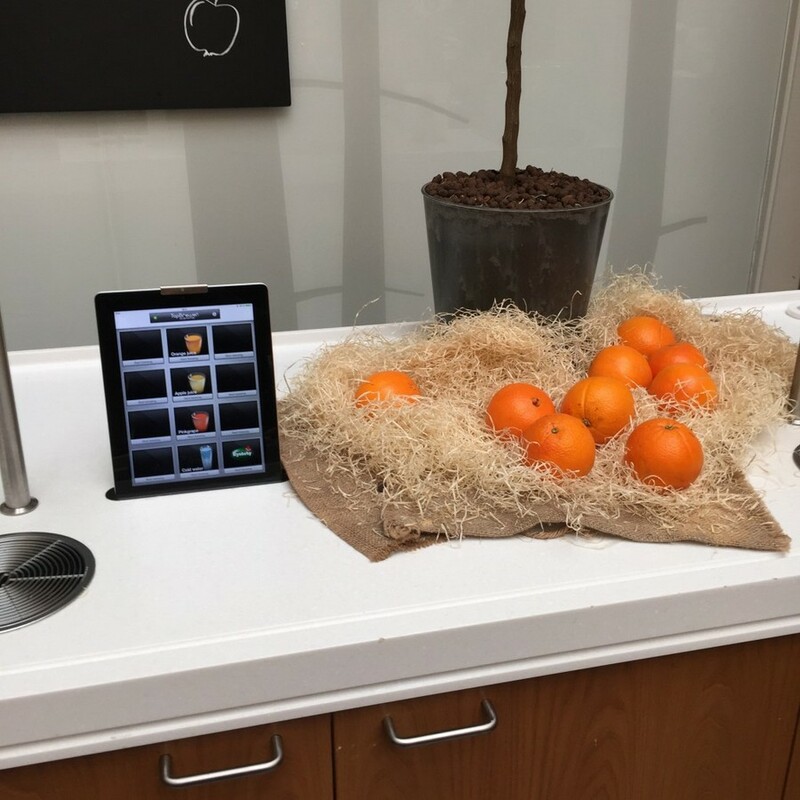 I liked the technological device used to dispense the fruit juices. Pretty cool. On the first floor, the Hotel also has a conference area, which can be used for business conferences, meetings, product launches or personal events. After breakfast, I explored the other facilities at the Hotel, which included the Fish Restaurant and Bar on the ground floor, which are both popular establishments in Stockholm. There was also a secluded area on the ground floor, away from the large foyer area decked out in Scandinavian designed furniture. I wanted to have lunch at Fish, but they were not open at the time. So I headed across the street from the hotel to Jensens Bofhus. and had a tasty Stake and peppered sauce with Salad. Yummy!! Prior to booking my trip, I read mixed reviews about this Hotel, but its location won me over. The staff are friendly and hospitable. The Radisson Blu Royal Viking Hotel met all my needs and exceeded my expectations on the room upgrade and free of charge extended stay. 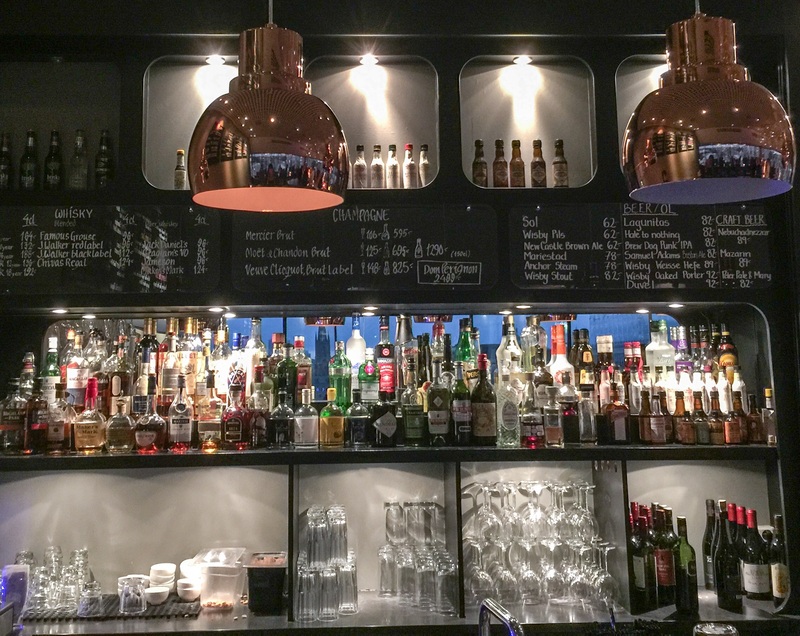 If you are looking for a comfortable hotel, where staff go an extra mile to make your stay special, a stone throw from the Central Train Station in Stockholm and only a short walk to the city’s Old town, then this is the place for you. 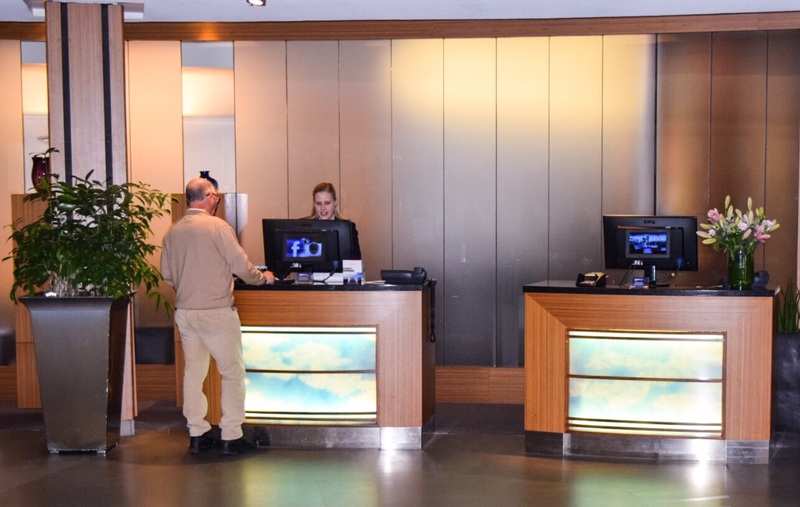 The hotel’s prime location in Stockholm makes it suitable for both business and holiday travellers. 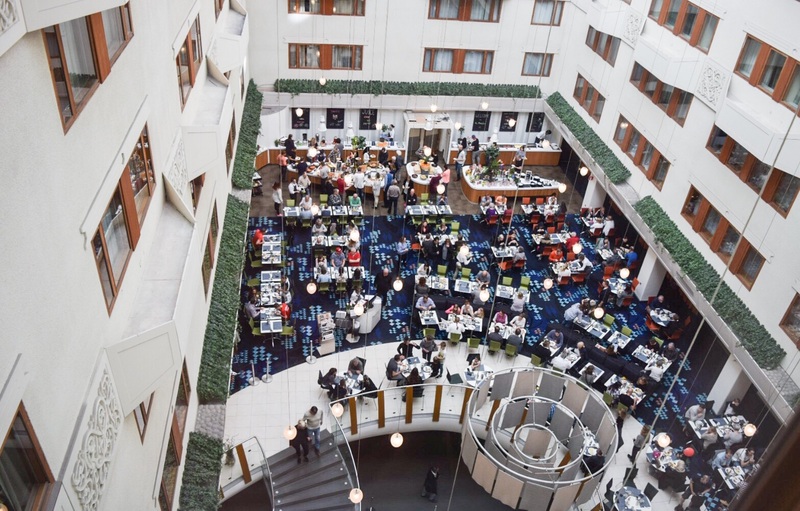 The Radisson Blue Royal Viking Hotel is made up of 459 rooms and suites. 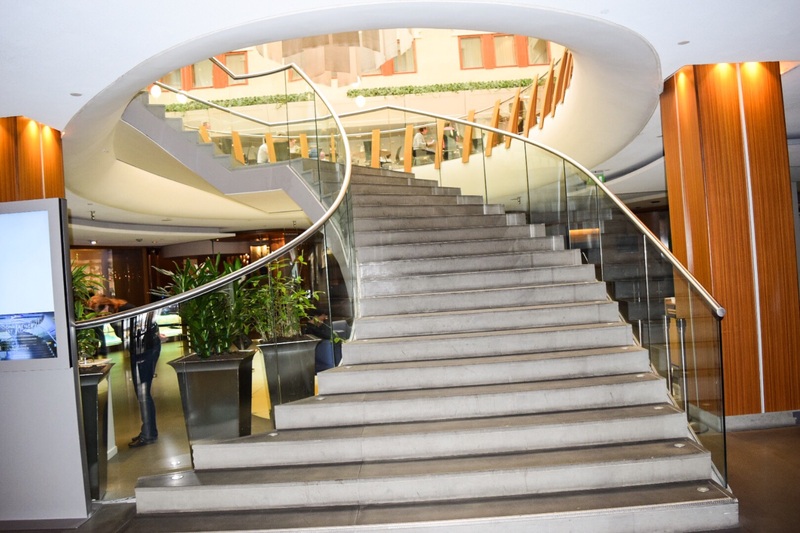 It is part of the Rezidor Hotel Group, currently operates more than 230 hotels worldwide. The cost for a 2 night stay was approx. £240 booked via Booking.com, based on the exchange rate at the time of booking. Visit Hotel Website for current rates. 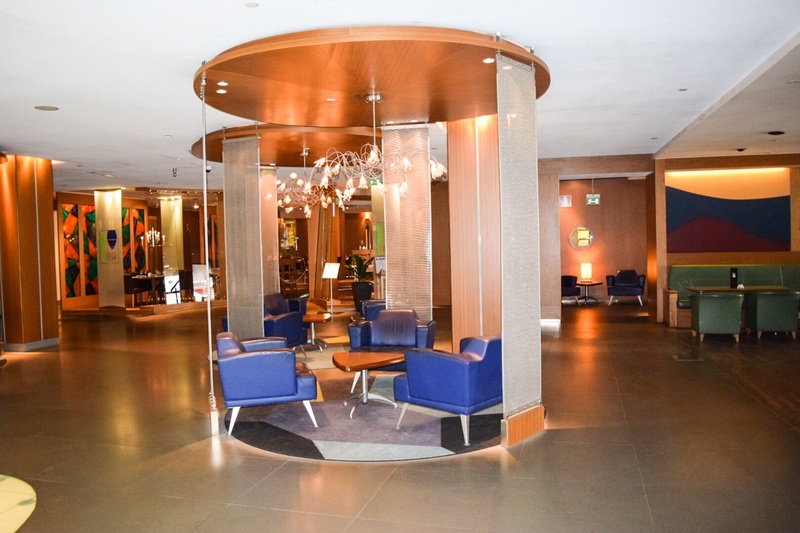 Have you stayed at Radisson Blue Royal Viking Hotel? What was your experience? Please share and comment.